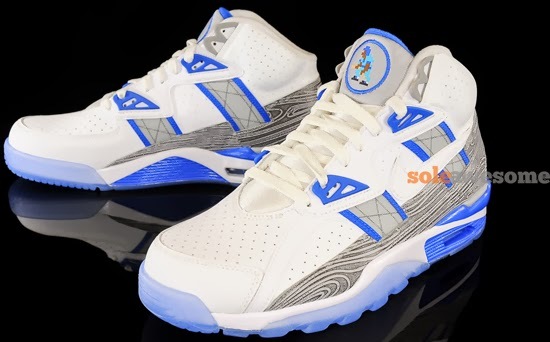 Another "Bo Jackson" inspired colorway of the Nike Air Trainer SC High is set to release soon. 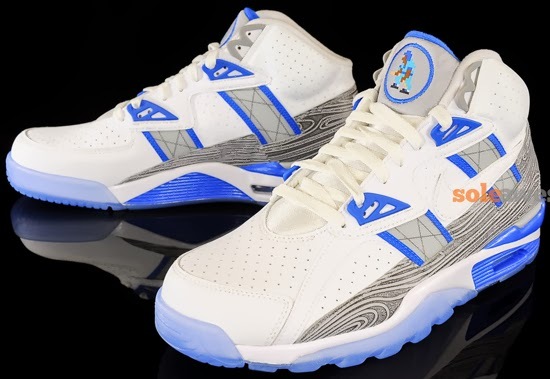 This Nike Air Trainer SC High Premium QS is known as the "Broken Bats" edition. Made to pay homage to the times during Bo Jackson's professional baseball career where he infamously "broke bats" in half. 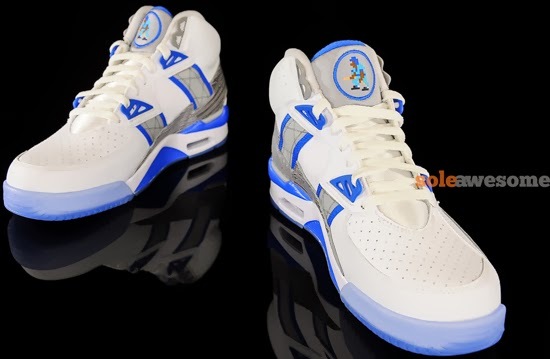 This pair comes in white, white, wolf grey and game royal to match his former Kansas City Royals team colors. 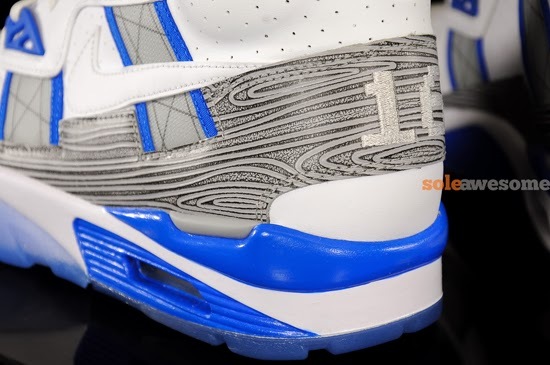 They feature a white based leather upper with blue accents and a unique graphic in grey finished off by a full icy blue translucent outsole. 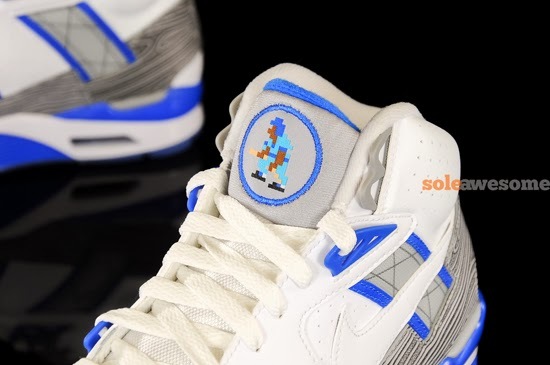 Other details include a "Techmo Bo" pixelated logo in his baseball uniform breaking a bat over his knee on the tongue tag with his jersey number "16" stitched on the back heel. 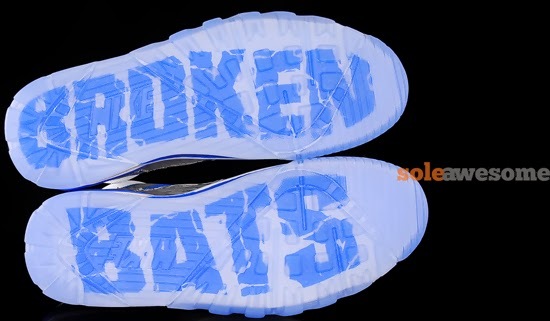 The words "Broken Bats" are found on the bottom of the insoles. A limited release, look out for these at select Nike accounts worldwide on Saturday, March 22nd, 2014. Retail is set at, $120. 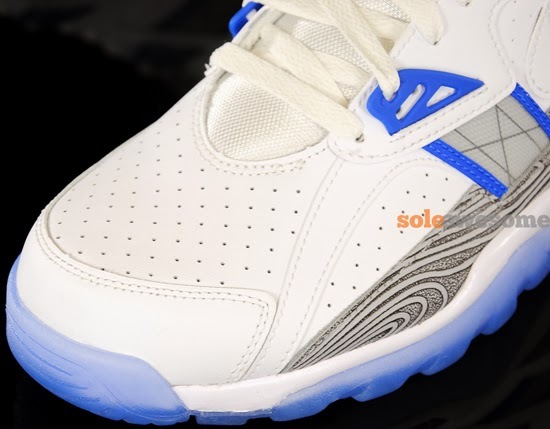 Enjoy the detailed images below of the "Broken Bats" Nike Air Trainer SC High Premium QS in white, white, wolf grey and game royal. If you're interested in picking these up when they release, check in with your local spots to see if they will be receiving them. Those of you looking for a pair now can, grab them from eBay here.